We'll have to wait til 2020 for the first part though. Shortly after the release of the latest Fate/Grand Order Babylonia anime series trailer, more info such as casting and a new key visual has been released for the upcoming two-part Fate/Grand Order anime film by Production IG. In case you aren’t familiar with the movie, it’s entitled Fate/Grand Order The Movie Divine Realm of the Round Table: Camelot (let’s just call it F/GO Camelot for short), and it’s based on the F/GO mobile game’s Sixth Singularity (or sixth main chapter). The movie will be split into two parts, with the first film being released sometime in 2020. 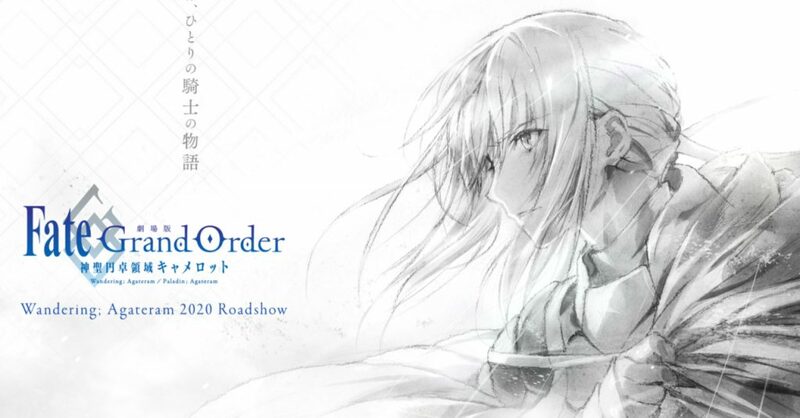 Aside from the 2020 release date, it was also announced that the F/GO Camelot movie will be directed by Kei Suezawa (director of FLCL Progressive). While both films will be produced by Production IG, only the second part will be animated by the studio as the first will be made by Signal.MD. As for casting, F/GO Camelot will star Nobunaga Shimazaki as Ritsuka Fujimaru, Rie Takahashi as Mash Kyrielight, and Mamoru Miyano as Bedivere.